Scientists from Birmingham University and Marine Scotland have created an interactive online resource that predicts maximum daily river temperatures and sensitivity to climate change of rivers all over the country. It will allow fisheries and river managers to plan how and where to focus works aimed at counteracting warming, such as planting trees to create shade and controlling water demand. Mark Bilsby, of the River Dee Trust, believes the new tool will allow resources to be targeted on the parts of a river in most need of shady trees. He said: “Planting trees to offset the local impacts of warming temperatures is well proven and this will put them where they’re most needed. We are already focussing on specific areas highlighted by the new data and continuing our work to plant trees where needed along the Dee. The team is predicting that the most climatically sensitive rivers are those without bankside trees in mountainous areas. Water temperature is an important factor in the health of fish populations and fears have been raised that Scottish rivers could become less suitable for the fish in the future. It is estimated that the number of adult fish returning to the Scottish coast to breed have declined by over 50 per cent, from around 1.25 million in the late 1960s to less than 600,000 by the end of 2016. 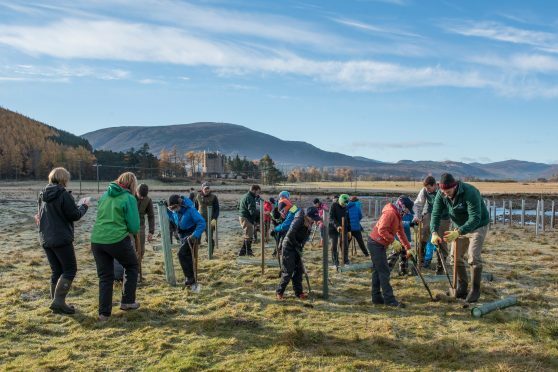 Cromarty Firth Fishery Board has also been involved in restoring native woodland for a number of years.